The issue: Closing of the La Jolla Children’s Pool to people — yes, people! To children, divers, swimmers and handicapped vets. Why? So that some seals can haul out and pup and poop there. Not only is the water contaminated, so, too is the sand both at the Children’s Pool and the nearby Cove. 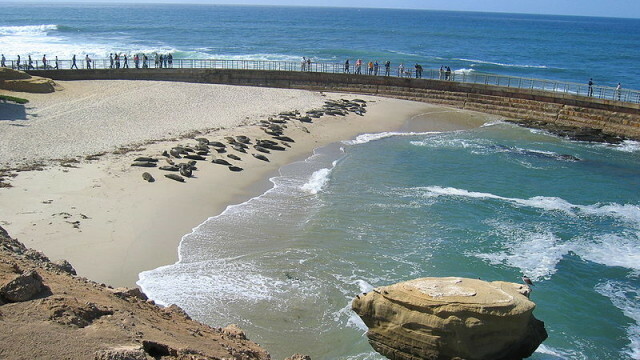 Let’s be clear: The resident seals at the Children’s Pool are newcomers. They are neither an endangered nor a protected species. 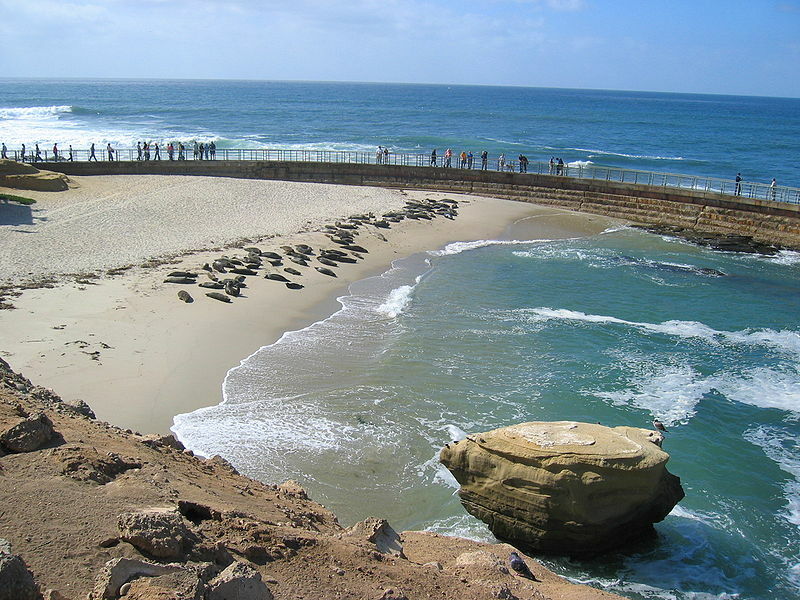 Previously, SeaWorld had released such seals off Point Loma. The interloping seals at the Children’s Pool are of the least desirable kind. They are stinking, polluting, expensive pampered guests. Never mind being shark bait. Stop romanticizing the seals. The once Jewel of La Jolla stinks. Restaurants are complaining. Shop owners are complaining. And with good reason. Construction of a new lifeguard tower has been stopped. And hundreds of the seals have established another beachhead at the Cove. Once a novelty and now a nuisance, the seals have cowered our leaders broke a trust that is older than most of the City’s residents. By way of full disclosure, I am a San Diego native who has competed in the La Jolla Rough Water swims from 10 and under to senior. I have worked out in the Cove and in every local ocean beach and bay for decades. Seals, leopard sharks, jelly fish and sting rays are no strangers to me. They need no protection. And they certainly don’t need an entire urban beach to themselves. What is strange to me is that anyone representing the City would try to break a “Trust”—indeed, a gift from one of the greatest benefactors the City has ever embraced. I am speaking of Ellen Browning Scripps. Yes, she who founded the Scripps Institution of Oceanography, Scripps College, Scripps Hospital, and Scripps Clinic. She has also contributed to many, many organizations including the San Diego Zoo. Scripps never dreamt, I am sure that our future “leaders” would violate that Trust. On May 31, 1931, neighbors gathered at the breakwater to celebrate the Children’s Pool. Scripps was too ill to attend. She died the following year. Perhaps, this May 31, we can all celebrate the Orange County Superior court ruling that has honored the Ellen Brown Scripps Trust by invalidating the City’s attempt to breach it. Spare the taxpayers more legal fees for appeals. This will last longer that the Mt. Soledad Cross fight. And give Ellen Browning Scripps back her legacy. Colleen O’Connor is a retired college history professor.